View our online deals and start saving now! We repair all domestic and commercial appliances. Welcome to Northridge Appliance Repair! 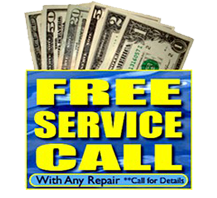 Northridge Appliance Repairc has been providing top quality appliance repair and maintenance services in Northridge, California since 1995. We are family owned and operated by Mark and Denise Smith, and love serving North Hills, Lake Balboa, Granada Hills, Winnetka and Surrounding cities with reliable appliance repairs that are done right the first time. We are doing everything in our power to change the perceptions of the appliance repair industry. Our Certified Technicians utilize state-of-the-art technology to diagnose and repair your appliances, no matter what the make or model. We offer same-day appliance repair service, and a 1 year warranty on parts installed by our Technicians. Our friendly staff will make you feel at home and treat you with the utmost respect. Honesty and integrity are at the center of everything we do! Northridge Appliance Repair is proud to be the Valley's best appliance repair company. So call today or conveniently schedule your appointment online. 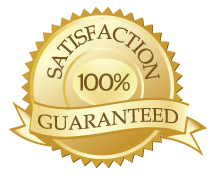 We’re excited to make you one of our many satisfied, repeat customers! © 2013 Northridge. All Rights Reserved.